Indiana’s climate and topography creates ideal growing conditions for many plants. The Hoosier state is relatively flat in the north but hilly toward the south and its weather is largely influenced by Canadian fronts that sweep through from the northwest. Plants that require a cold dormancy period can be grown as perennials in Indiana, where winters are frigid. Plants native to all parts of Indiana are good bets when it comes to growing outdoor species. Cardinal flowers grow up to 3 1/2 feet tall and feature bright red flowers. Their nectar attracts butterflies and hummingbirds, which serve as pollinators. The plants prefer full sun or partial shade and grow best in moist, rich soil. They are found in the wild in damp meadow areas, along streams and in other moist places. Successful cultivation usually involves planting seedlings rather than starting by seed. Black-eyed Susans are hardy perennials that have bright yellow daisy-like petals with dark seeded heads in the centers. Flowers can be up to 3 inches in diameter and plants can reach up to 3 feet tall. They grow in full sun or partial shade in many soil types that are moderately fertilized. Ostrich fern is a clumping perennial that grows well in areas that are partially or fully shaded and in soil that is rich and consistently moist. The fern usually grows up to 3 feet tall in home landscapes, but has been found growing up to 6 feet tall in moist, cool spots in the wild. Fiddleheads unfurl in the spring in Indiana and then dissipate as the summer progresses. Plants brown and die back through the fall. This perennial shrub grows up to 12 inches tall and sports eye-catching bulb-like flowers that are 1 inch in diameter. The flowers provide excellent nectar sources for butterflies. The plant itself provides nesting for birds and is a host plant for the Sphinx moth. The seeds attract a variety of wildlife. It is used in wetlands restoration where soil is moist and sunlight is plentiful. 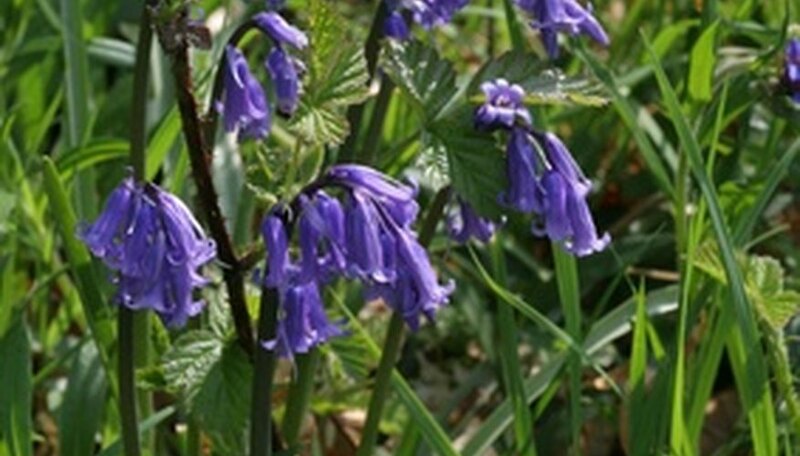 Virginia Bluebells have attractive, purplish-blue bell-shaped flowers that bloom in late spring and early summer in Indiana. Plants prefer growing in shaded or partially shaded areas and in average or moist soil that is rich and partly alkaline. These woodland wildflowers grow up to 24 inches tall and attract wildlife like hummingbirds, butterflies and bees. This relatively short tree grows up to 30 feet tall and just as wide. It shows off in the spring with tightly clustered tiny buds that are bright pink. Leaves remain dark red and green throughout the growing season and change to yellow in the fall. This tree prefers full sun or light shade in windy or dry areas. It grows in all well-drained soil types.